There have are a number of fascinating books and CDs that delve deeper into the work of Max Cade, Anna Wise and the development of The Mind Mirror. The definitive book by British biophysicist and mind researcher Max Cade, inventor of the Mind Mirror. Cade explains the science of brainwaves and how biofeedback, coupled with meditation, enables people to listen to the soul for deep intuitive insights. 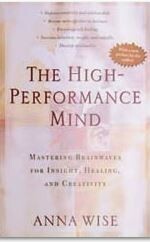 Includes exercises and meditations, along with research on altered states and healing. Rare book. 276 pages. Companion book by the electronics engineer who built the Mind Mirror. This study of brainwave patterns and their significance traces development of the technology and shows how to read composite beta, alpha, theta, and delta patterns. Rare book. 80 pages. Drawing from some of the latest scientific research and dozens of case histories, Anna Wise shows us how the four kinds of brainwaves - alpha, beta, theta, and delta - communicate information among the conscious, subconscious, and unconscious minds. With simple techniques, we can become more effective leaders and problem solvers, improve our communication skills and interpersonal relationships, and increase our emotional health and well-being. 271 pages. 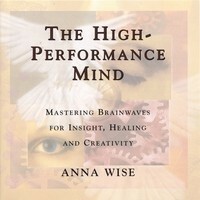 Anna Wise reveals how a careful understanding of the four types of brain waves, combined with the practice of carefully designed meditation exercises that lead to a mastery of each type, can vastly improve everyday focus, memory, concentration, and overall mental awareness. In this book, Wise provides a meditation program that will lead readers to achieve that heightened mental state referred to as the Awakened Mind. 255 pages. This experiential book, featuring anecdotal stories, intuitive exercises, and guided meditations, is a spiritual and scientific journey into higher awareness. 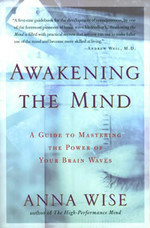 One-third of the book is focused on brainwave science, including the author's research on meditation, intuition, healing, and two new brainwave patterns involving gamma waves. New scientific research on the brain, meditation and intuition makes this a must-have for readers interested in consciousness. Published in January 2013 in soft cover and digital formats by 4th Dimension Press. This 4-CD set includes ten brainwave development meditations and exercises based on the book of the same name. Meditations are accompanied by binaural beats to help stimulate the appropriate brainwaves. Order digital downloads from CD Baby; albums from Amazon. This 4-CD set ushers listeners into deep meditation for relaxation, self-discovery, healing and transformation. Features Schumann and Pythagorean frequencies, keyboard soundscapes, and the soothing sounds of Judith's musical voice and lap harp. Order digital downloads and CDs. Listen to samples. In this classic 4-part series of lectures, Anna demonstrates the Mind Mirror II and talks about the brainwaves of consciousness. Presented to the Neurotechnology Forum, held in Seattle, Washington, in 1992. Click here. 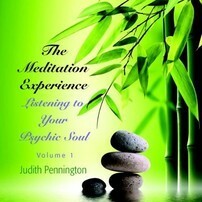 Judith Pennington on "The Brainwaves of Meditation and Mind Expansion"
In this 9-minute video, meditation and consciousness trainer Judith Pennington with her subject, writer Sylvia Chappell, demonstrate how the frequencies of meditation expand and awaken the mind to higher states of awareness. Click here. Annette Gudde on "The Power of Flow, Music and the High-Performance Mind"
In this 15-minute TEDx talk, pianist and awakened mind trainer Annette Gudde explains the feeling of flow, reminisces about Anna Wise, and shows the awakened mind pattern of flow. 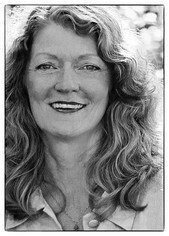 Click here for Annette Gudde's TEDx talk.